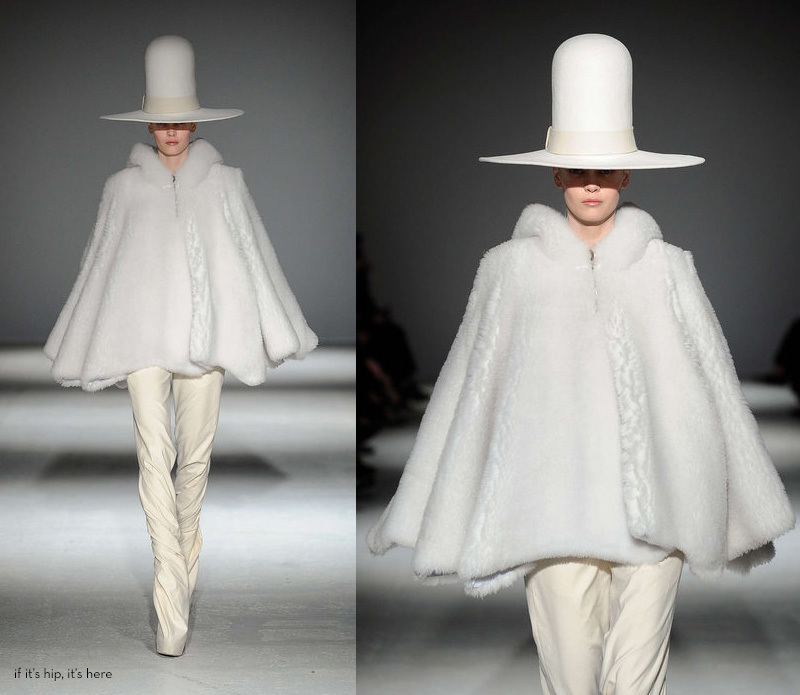 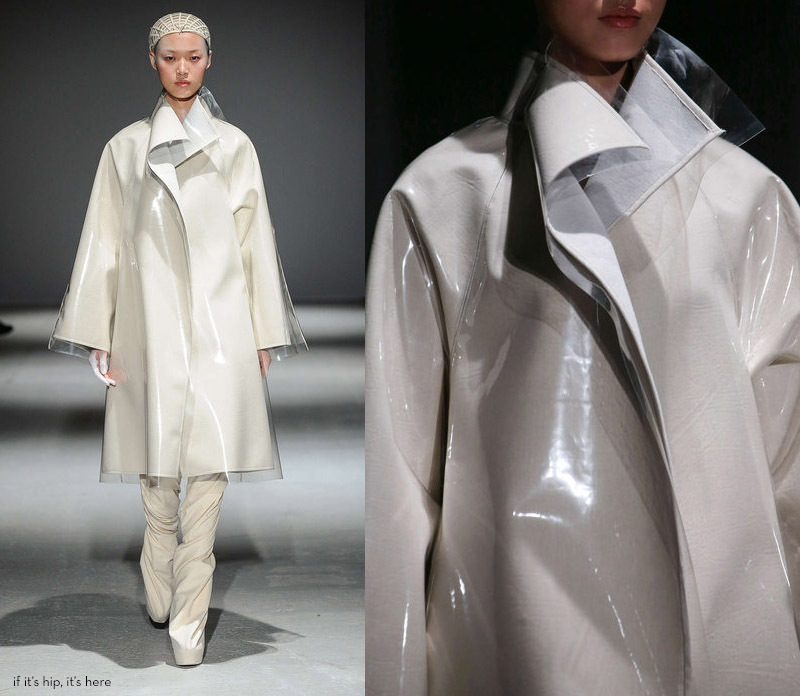 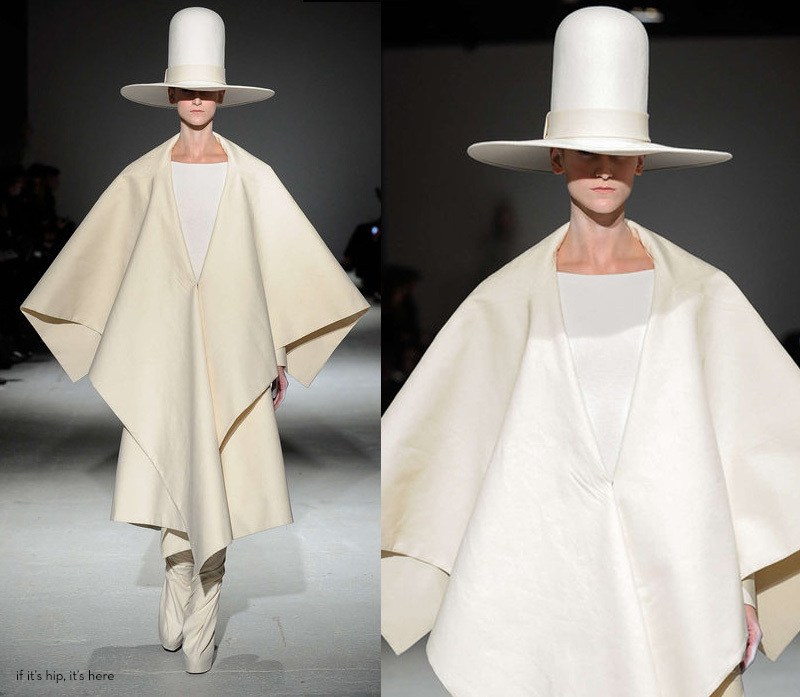 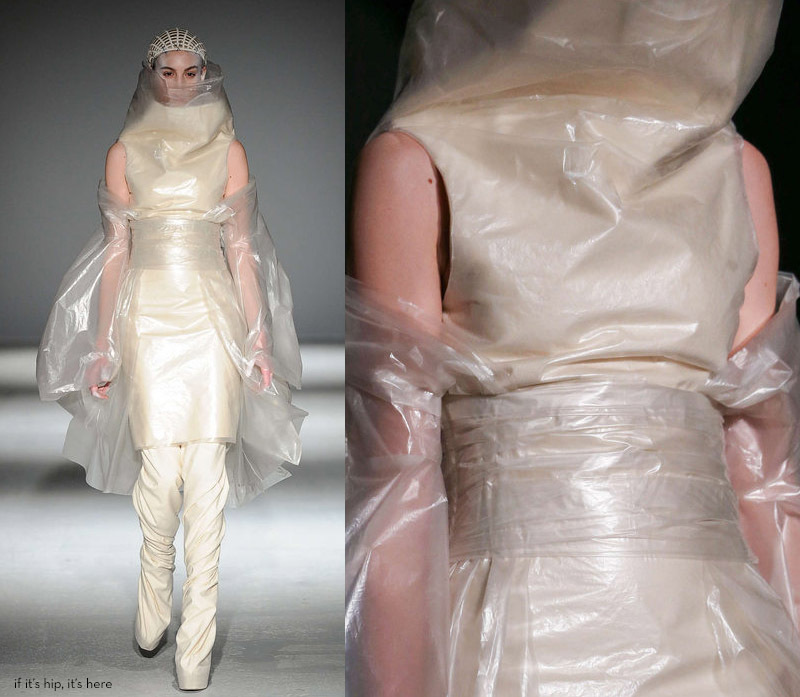 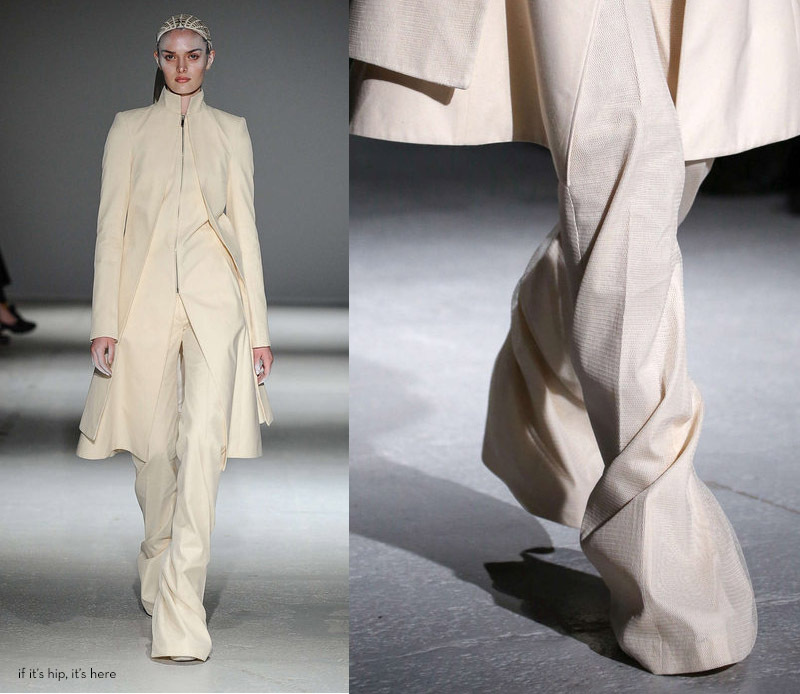 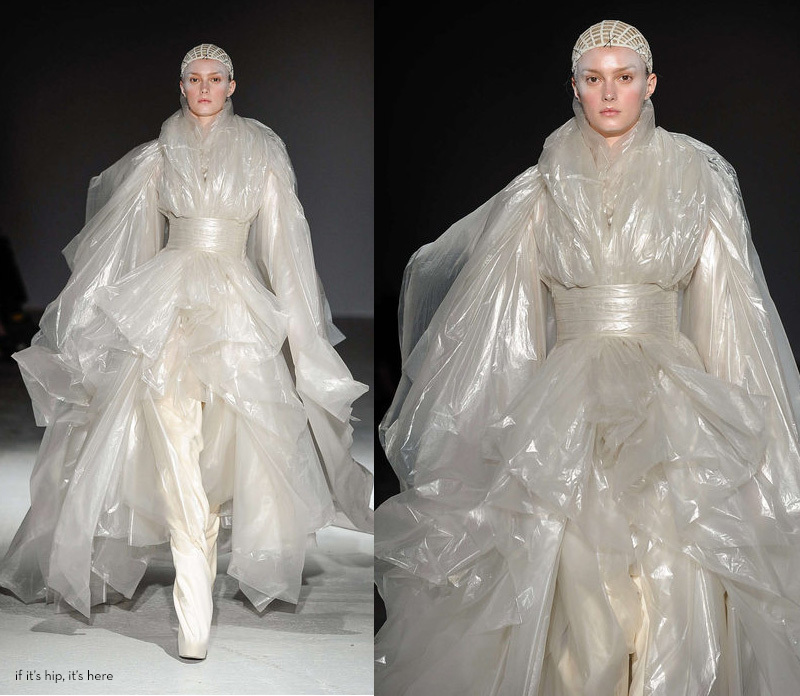 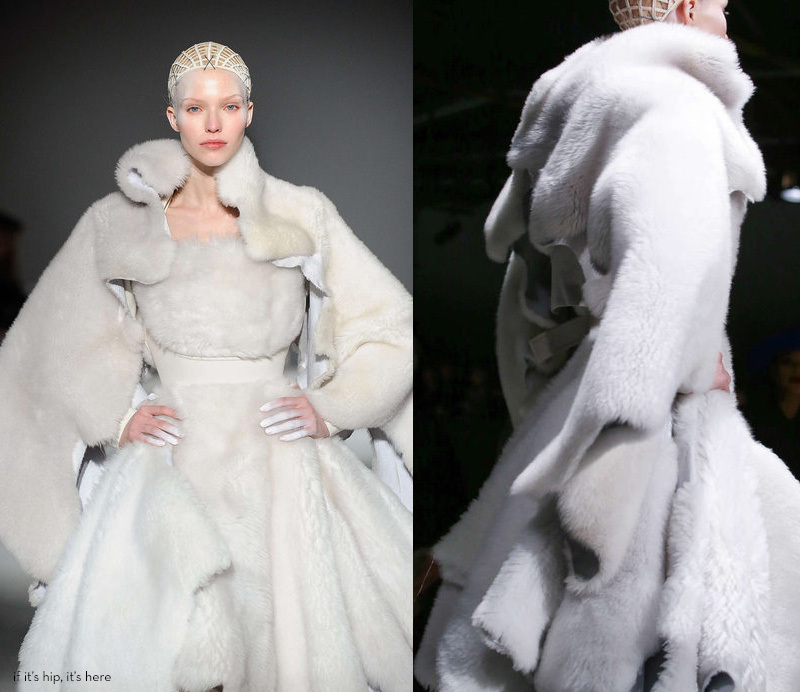 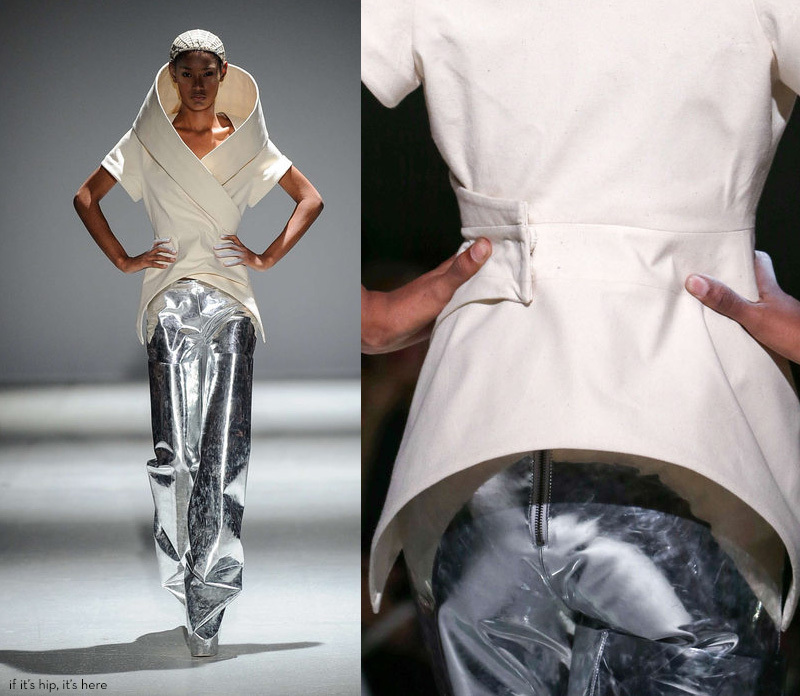 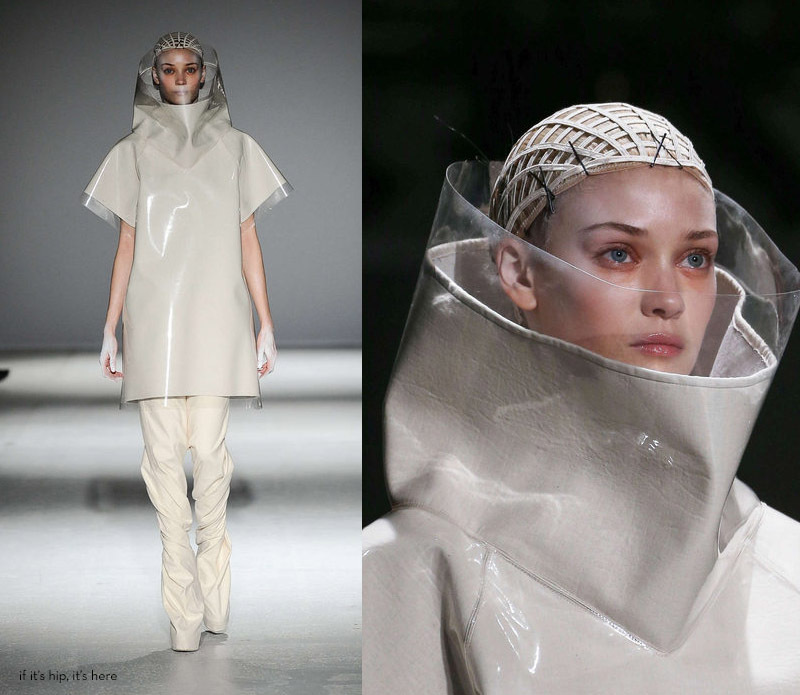 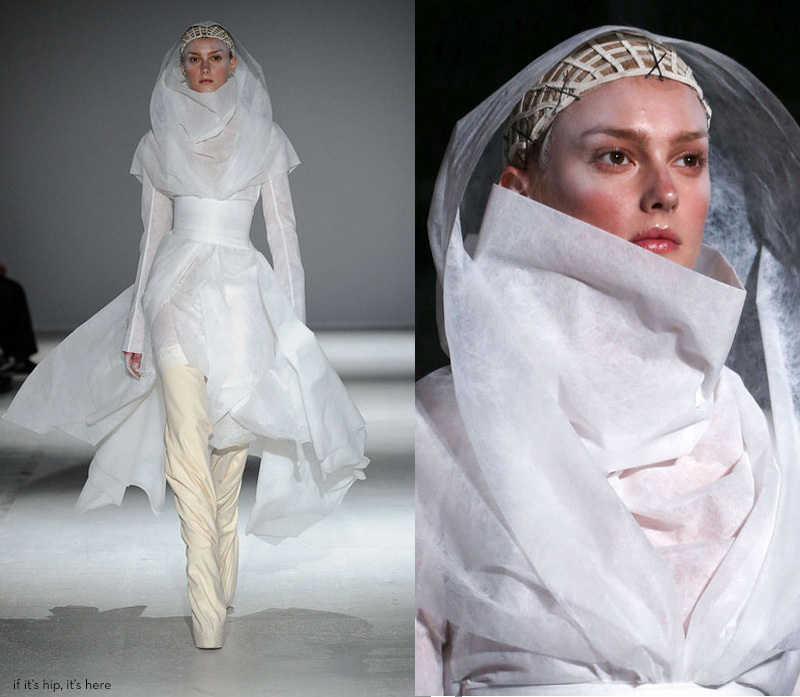 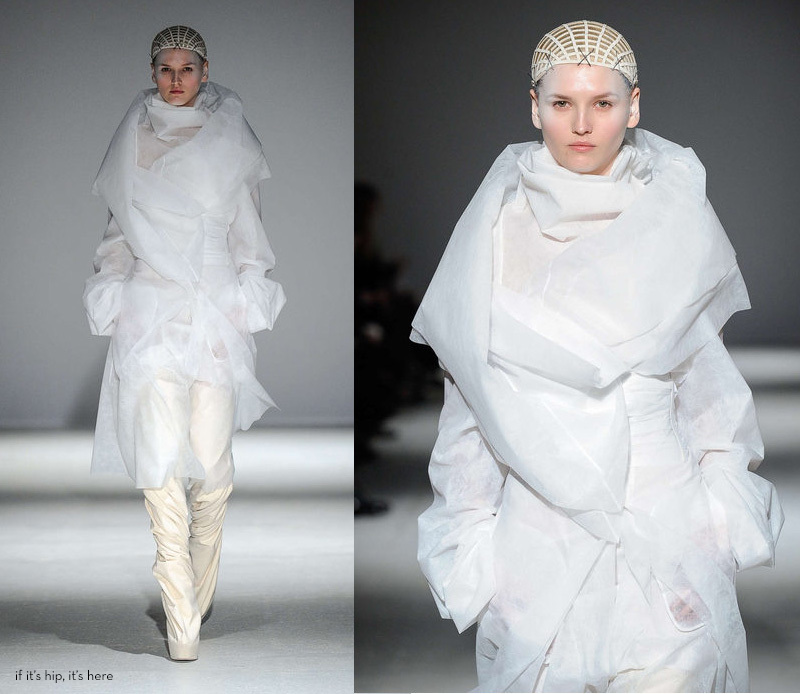 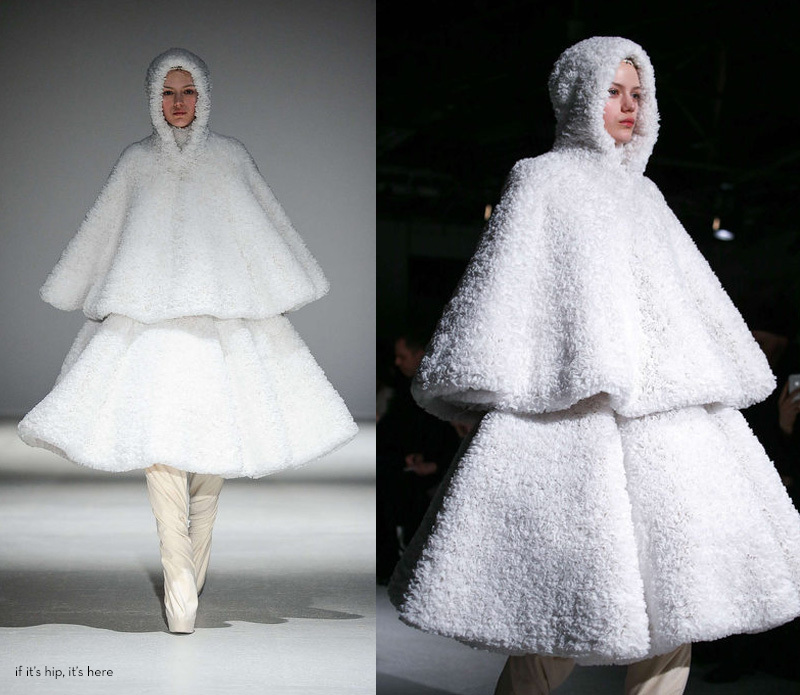 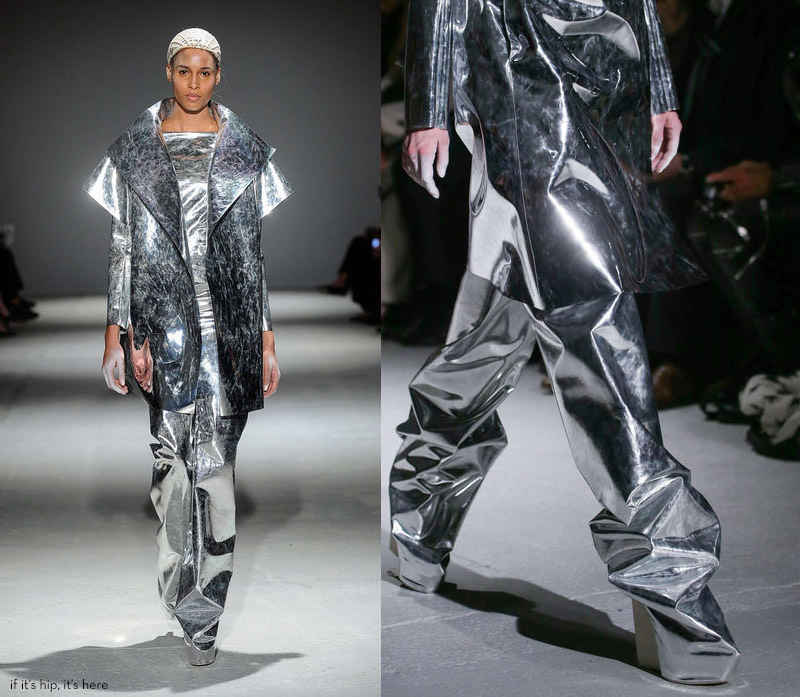 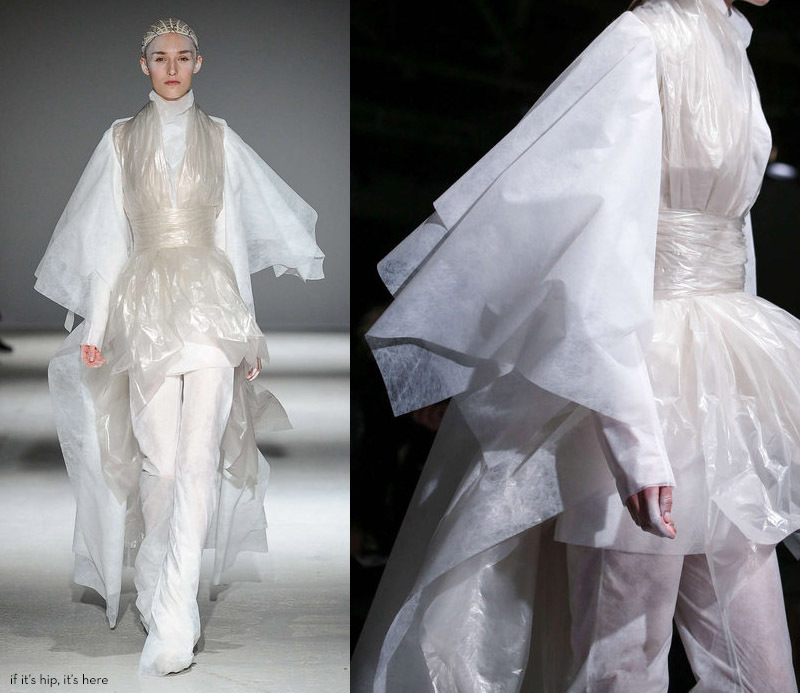 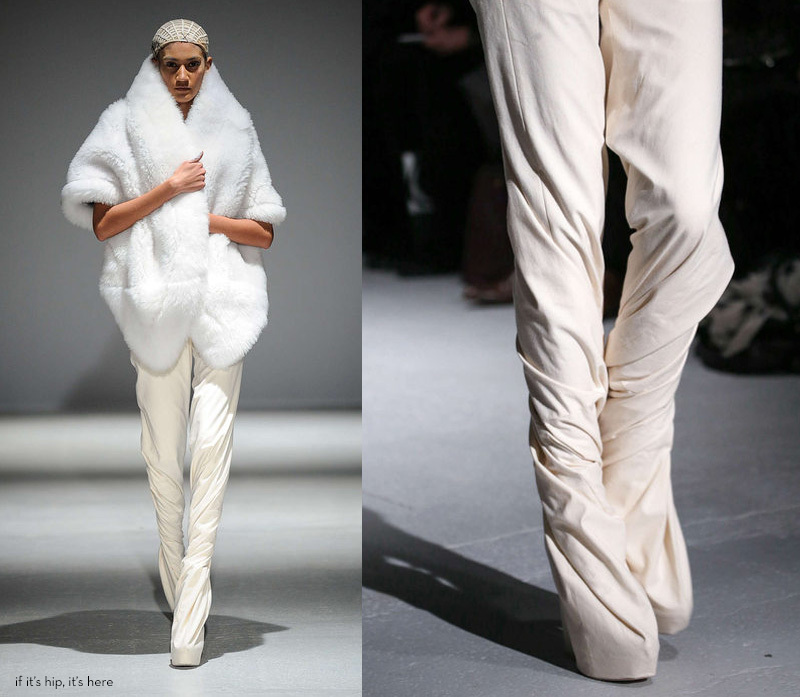 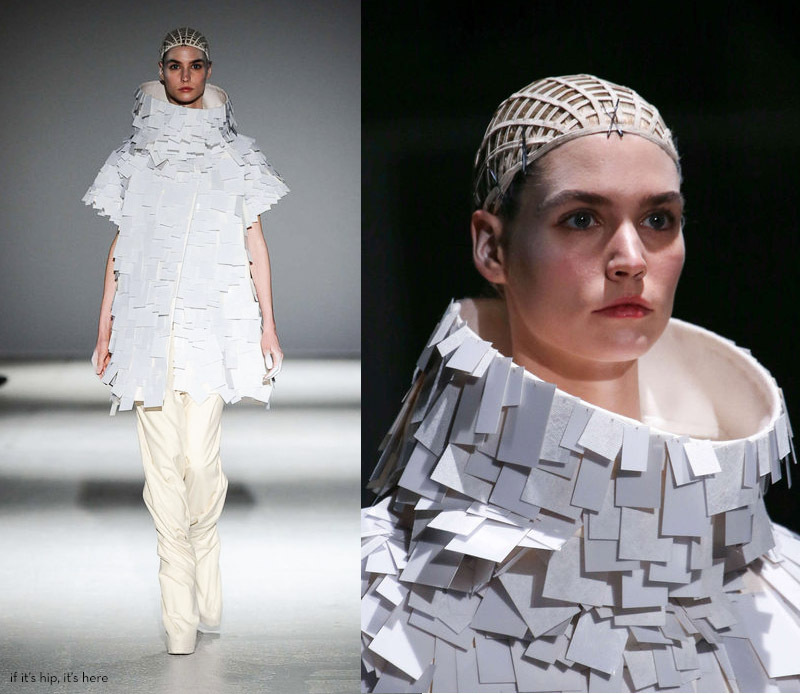 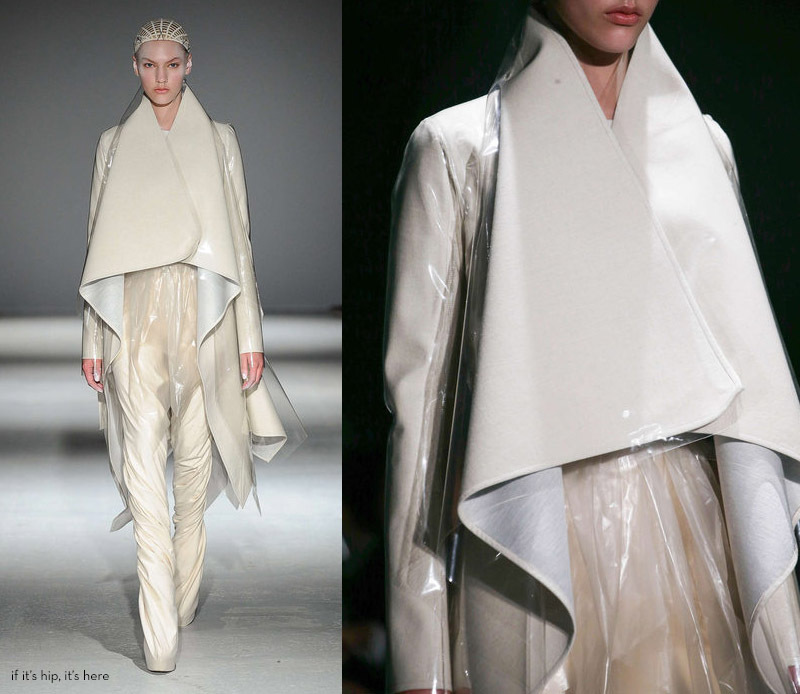 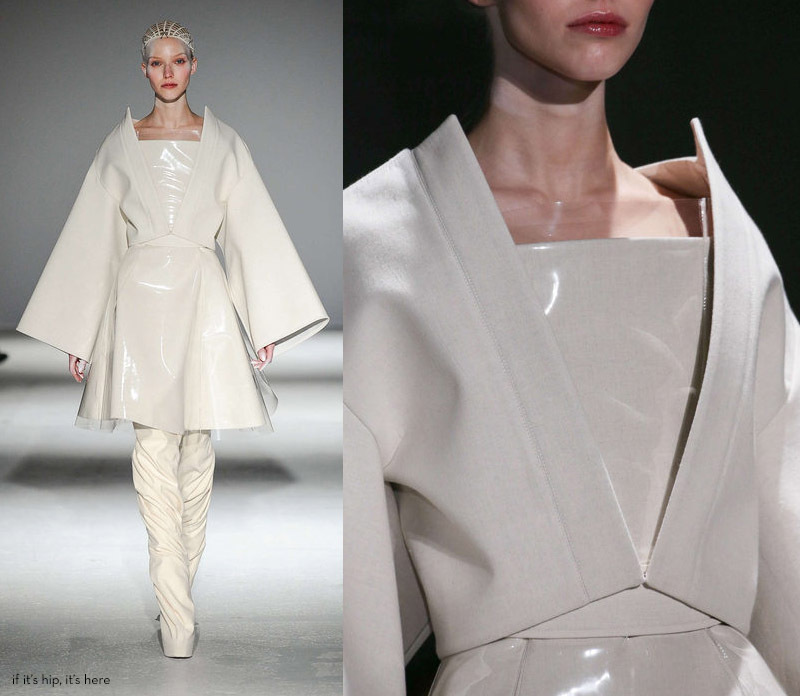 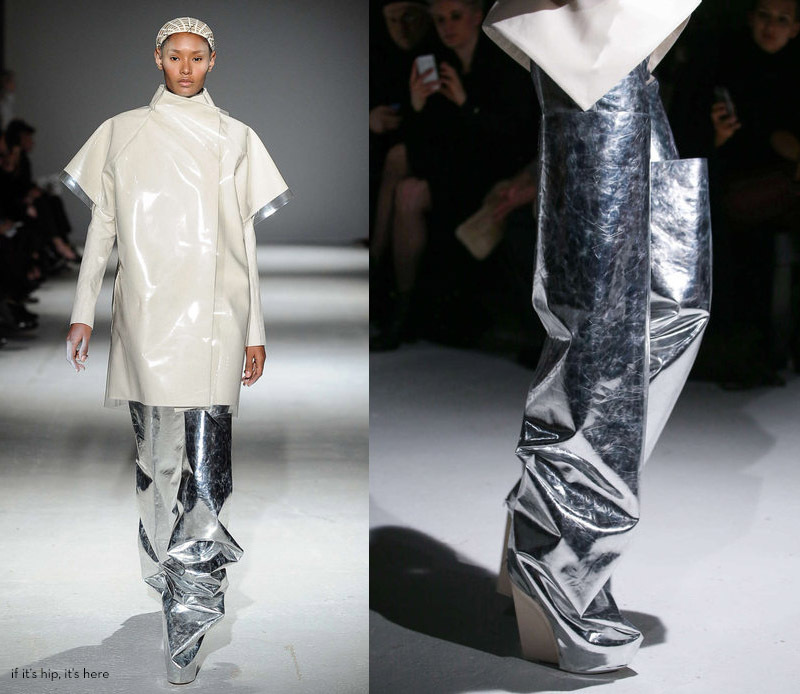 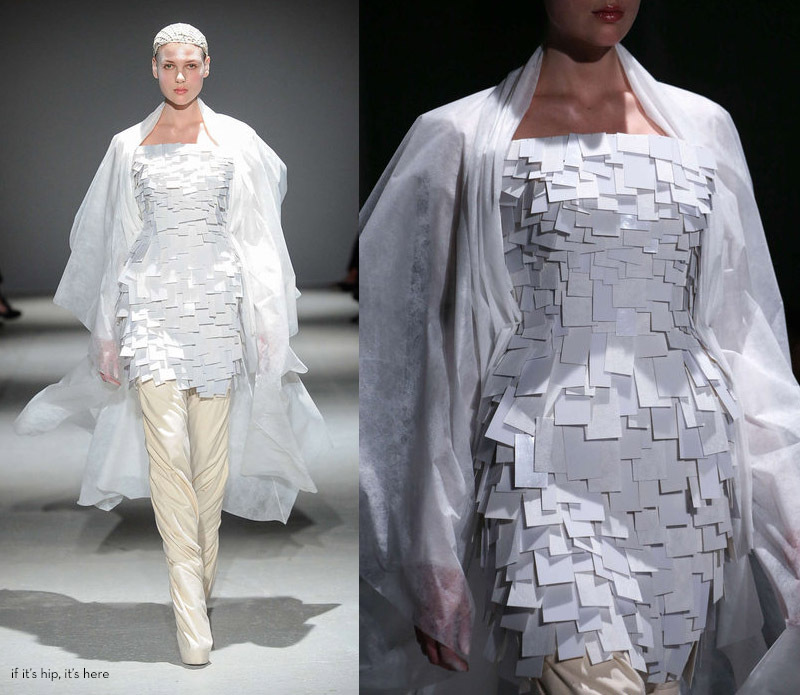 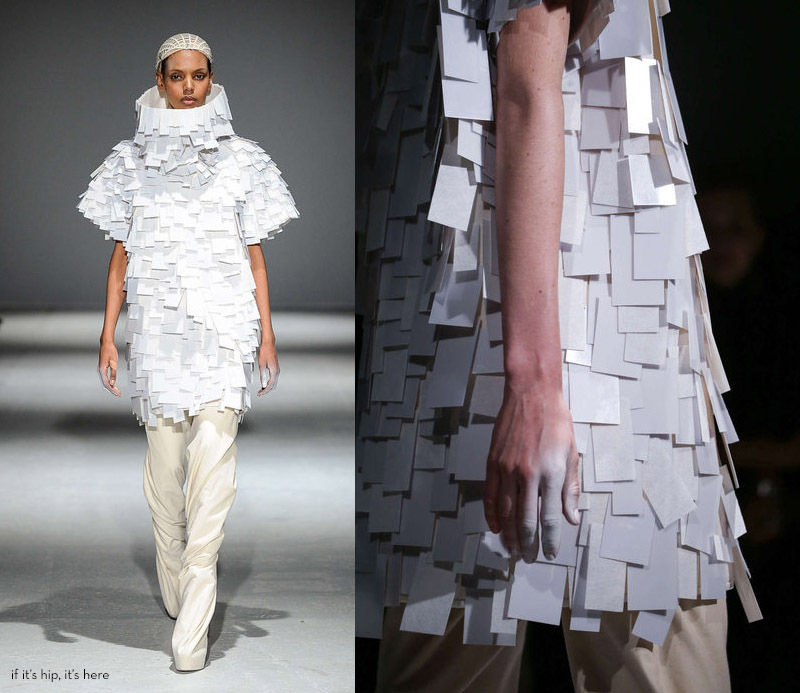 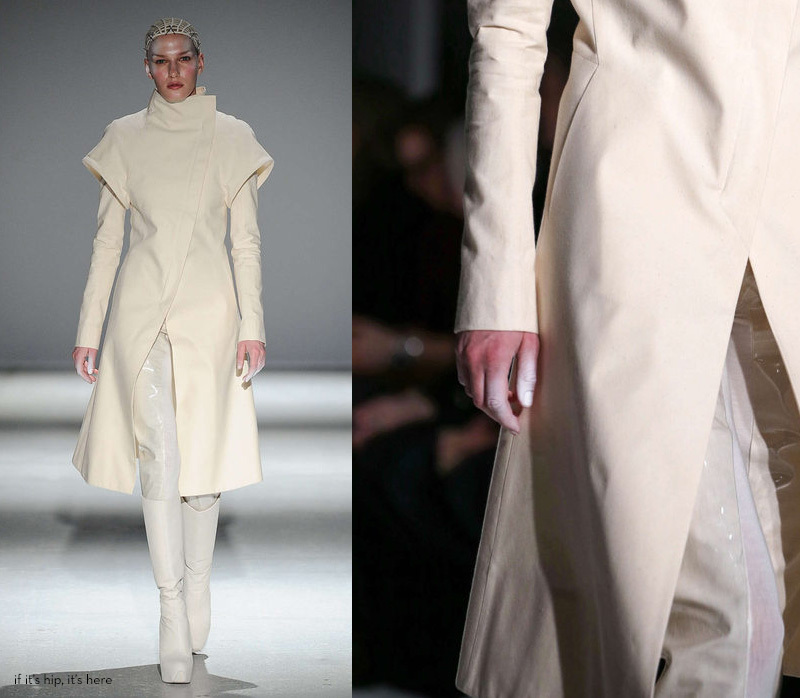 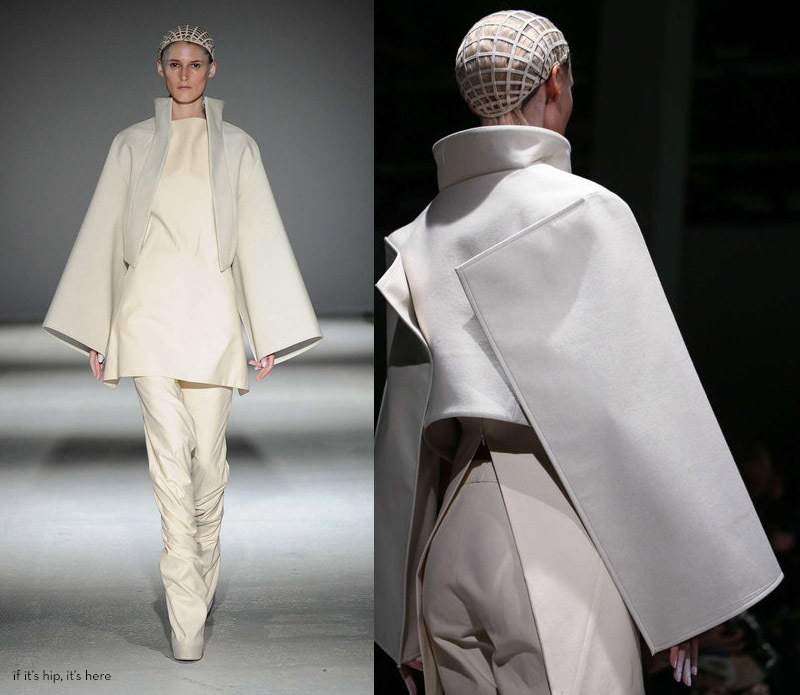 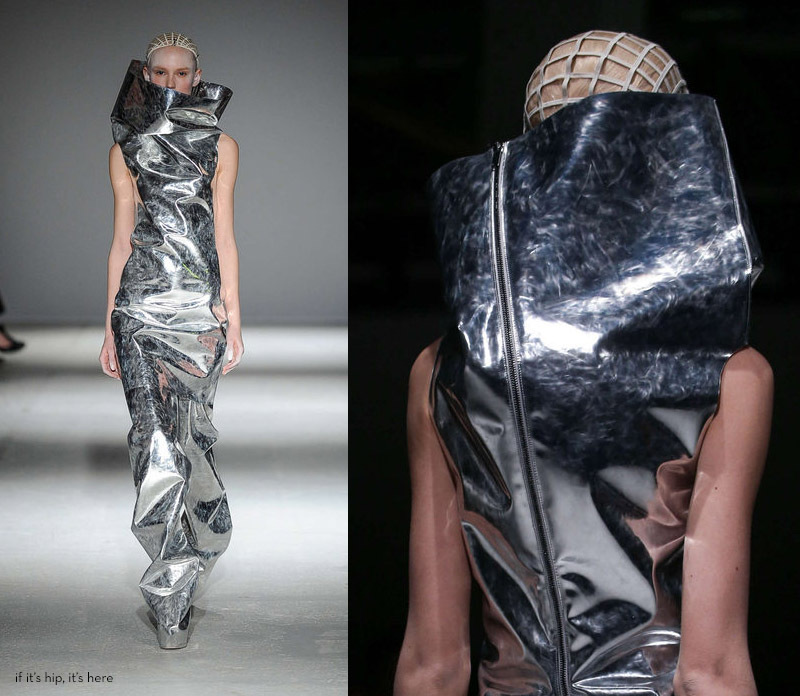 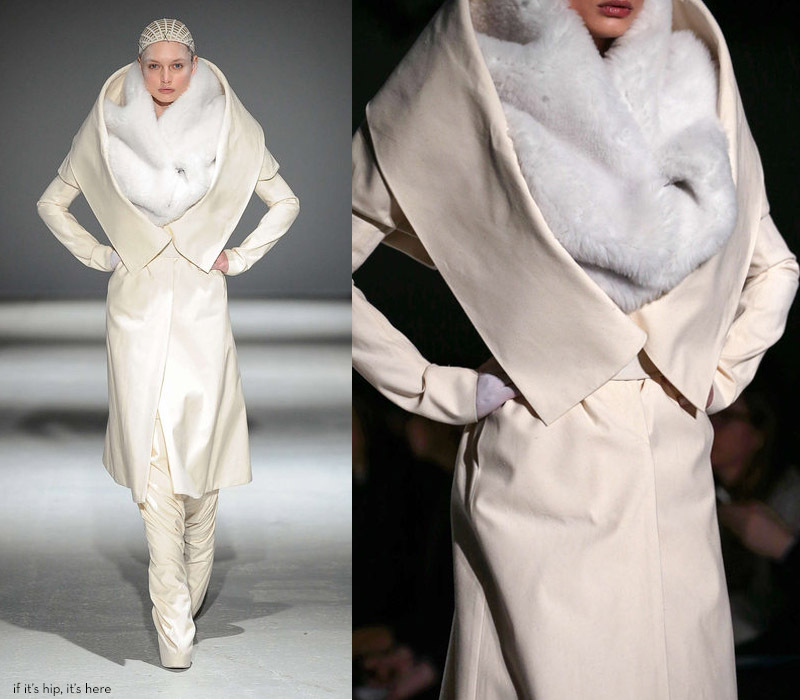 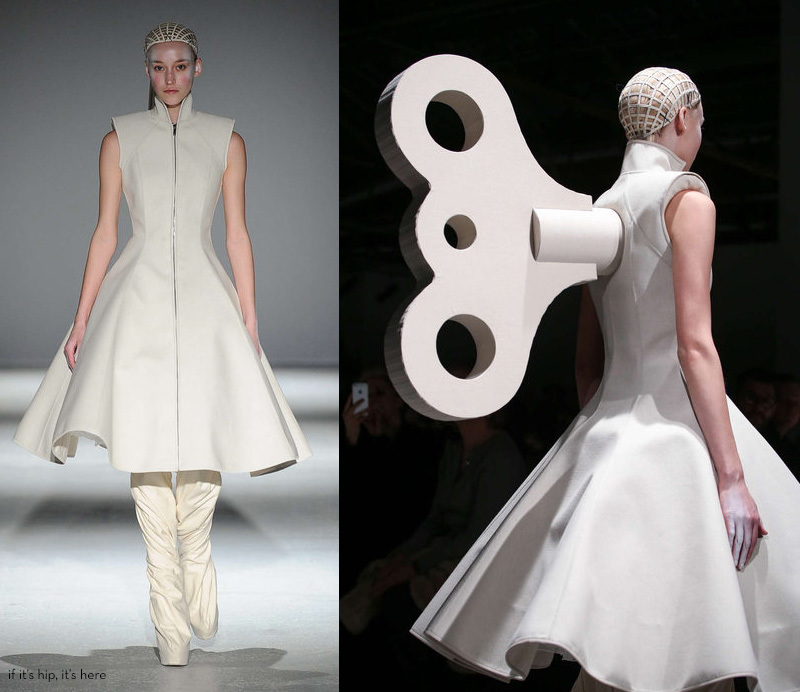 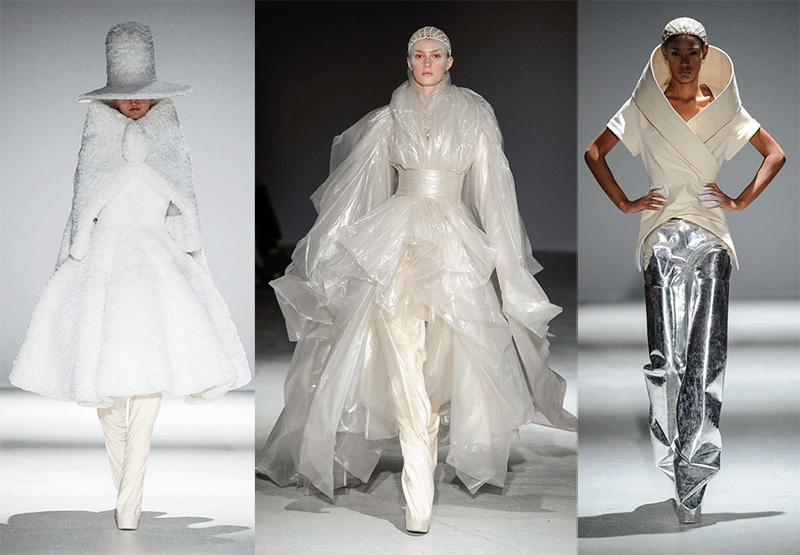 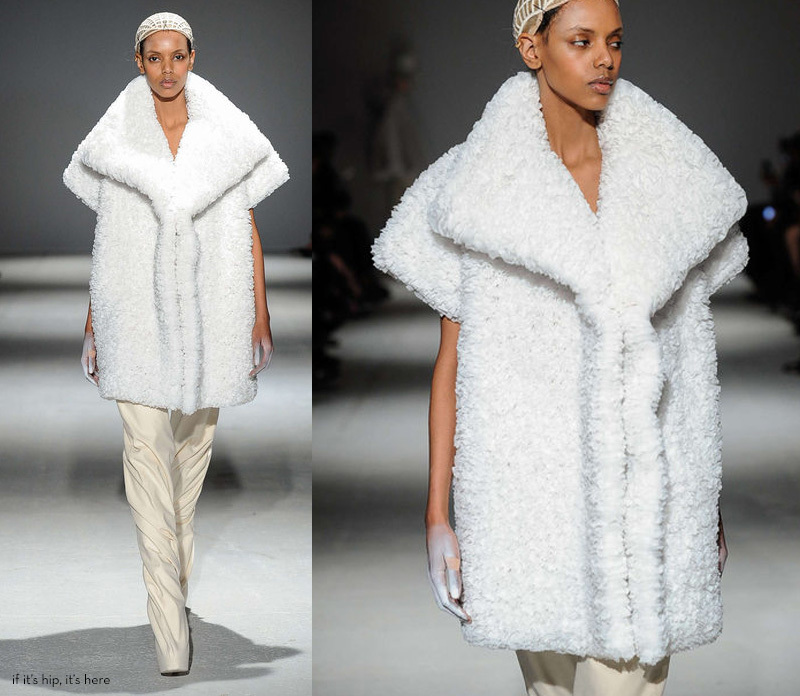 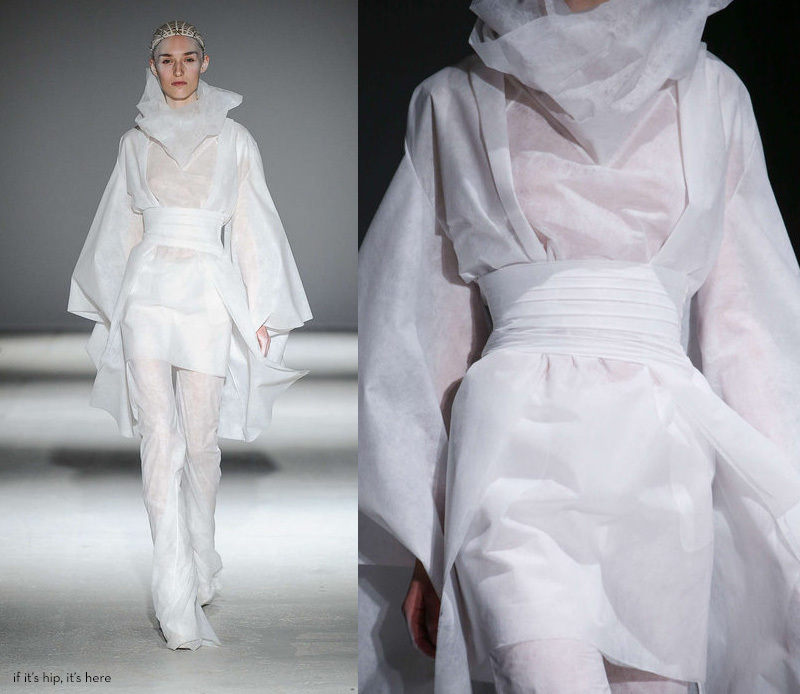 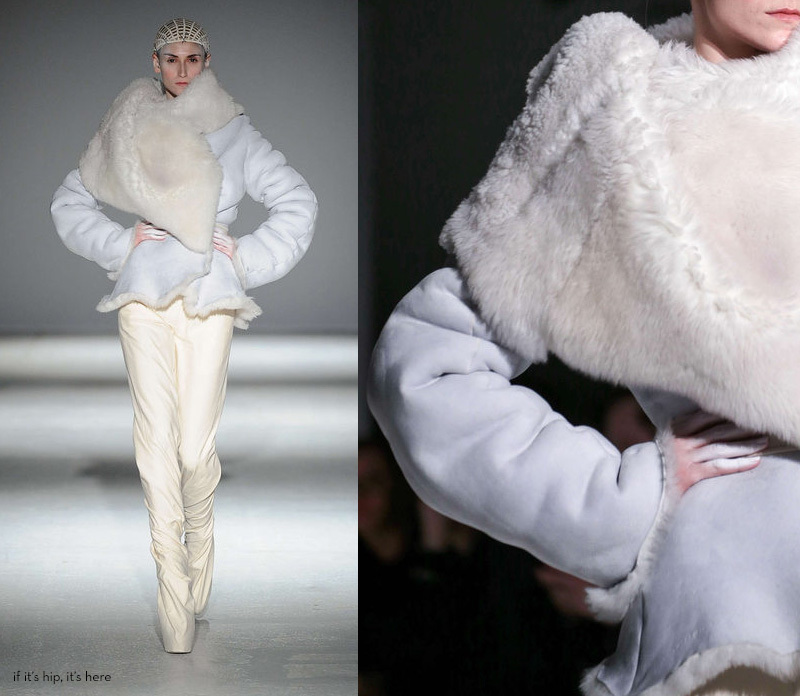 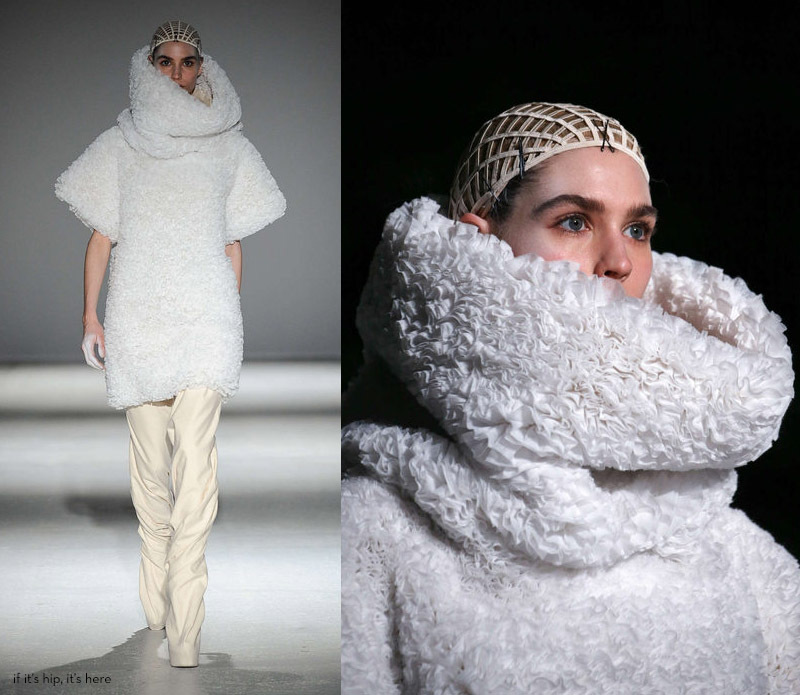 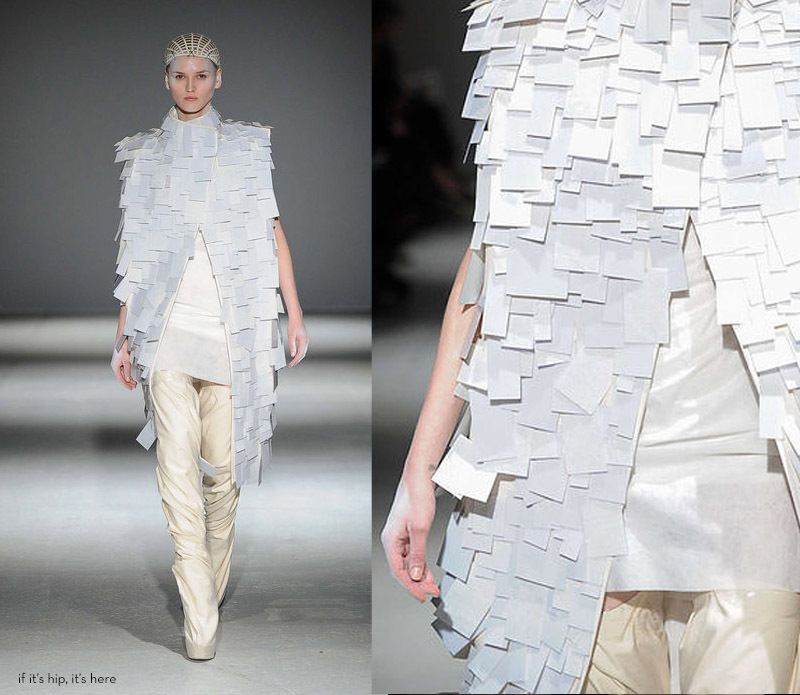 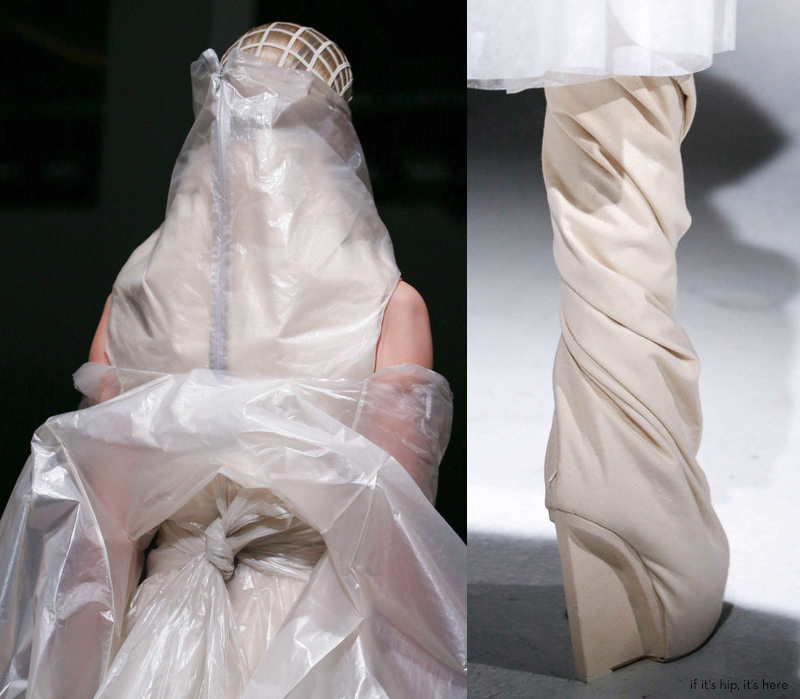 If It's Hip, It's Here (Archives): Few Do Weird, Wonderful and Wearable Like Gareth Pugh. 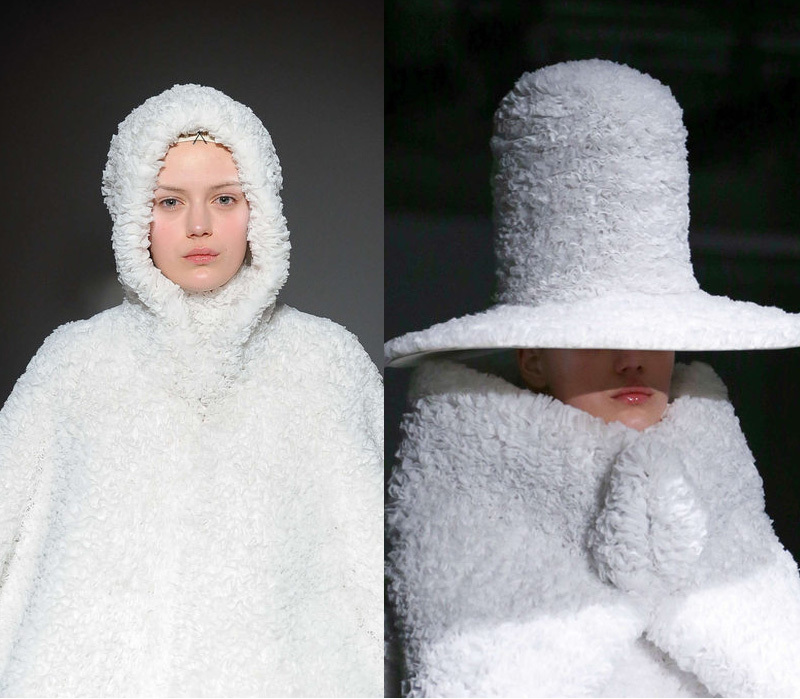 His Complete 2014 Fall Winter Collection. 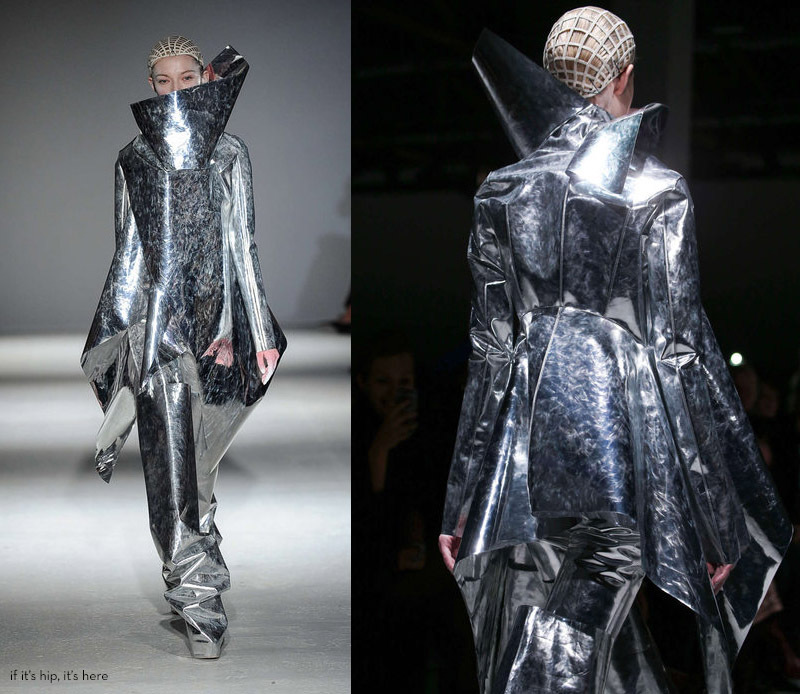 Few Do Weird, Wonderful and Wearable Like Gareth Pugh. 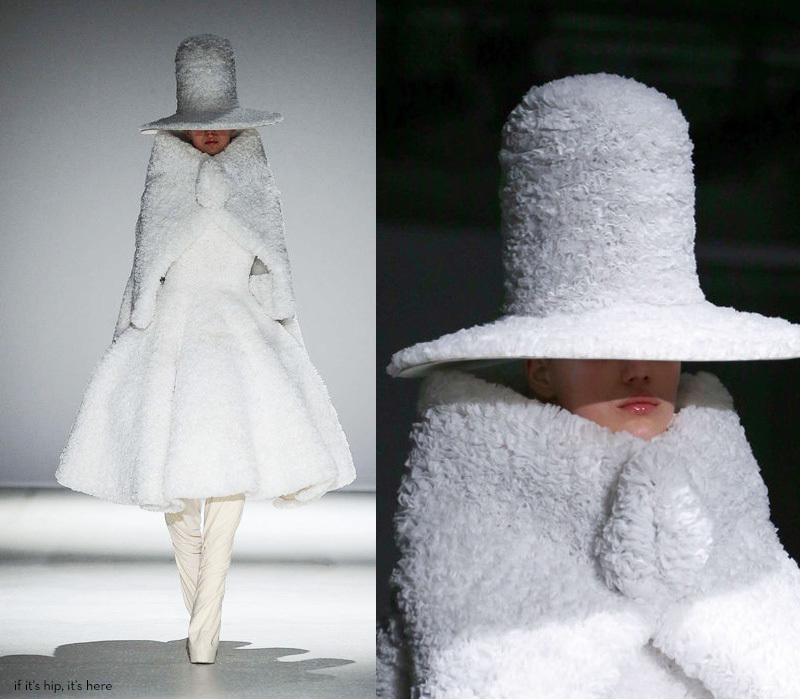 His Complete 2014 Fall Winter Collection. 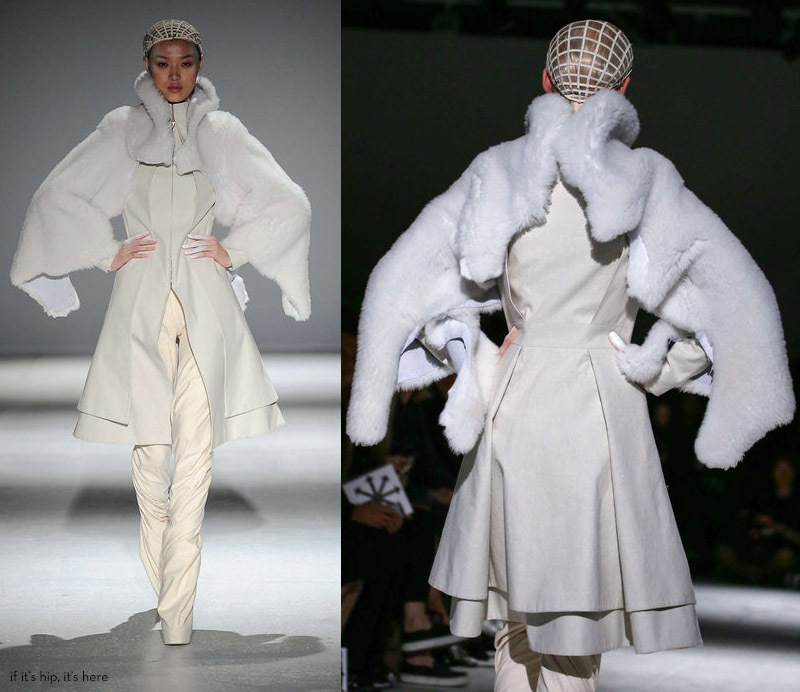 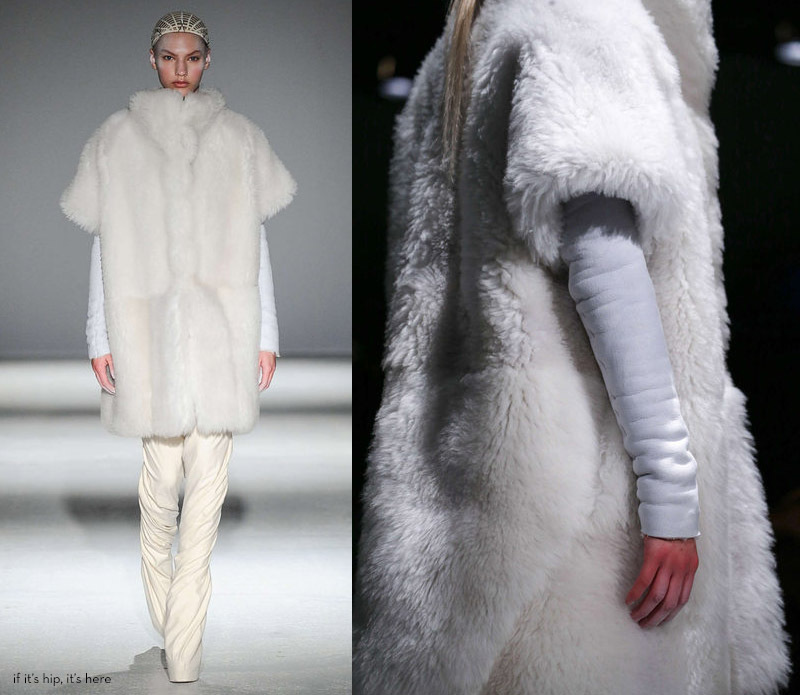 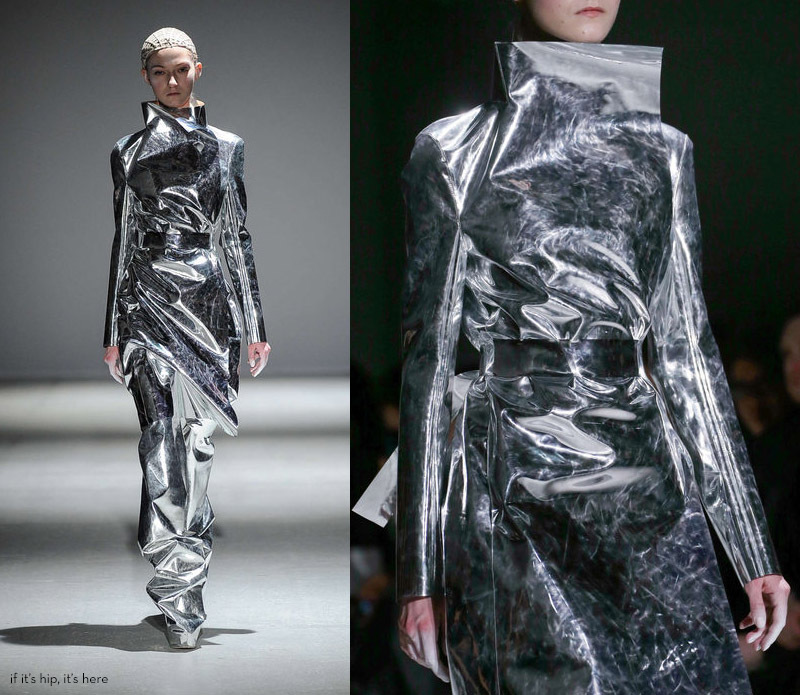 A look at the new Fall/ Winter 2014 Ready-To-Wear Women's collection from irreverent fashion designer Gareth Pugh. 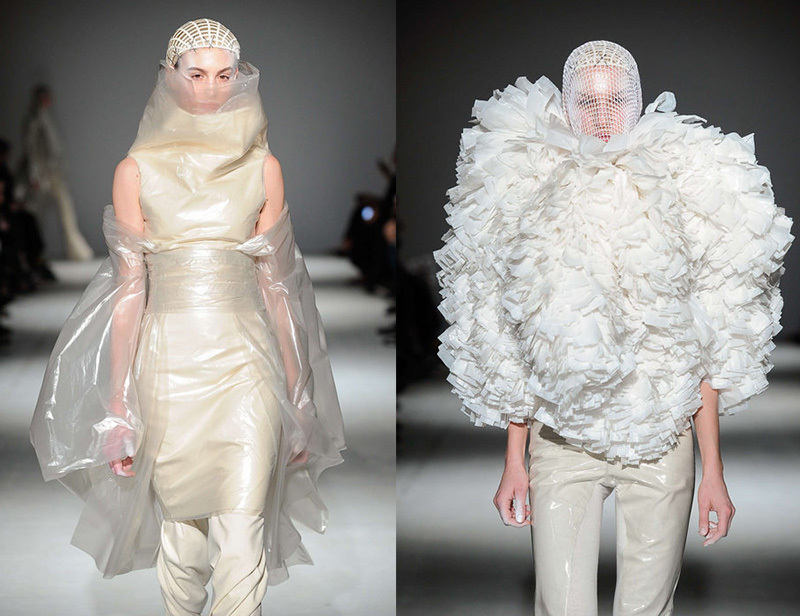 It's a bit of "Snow-Babies-Meets-The-Kitchen-Drawer" (you know, the one that holds plastic wrap and foil?) 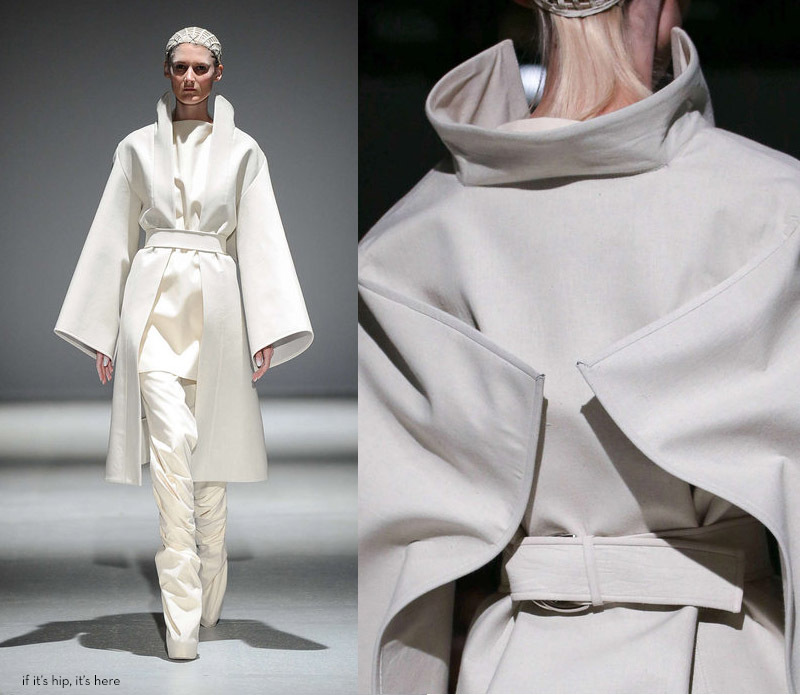 but it's truly unique and there's something beautifully clean and elegant about the structured pieces of white and cream. 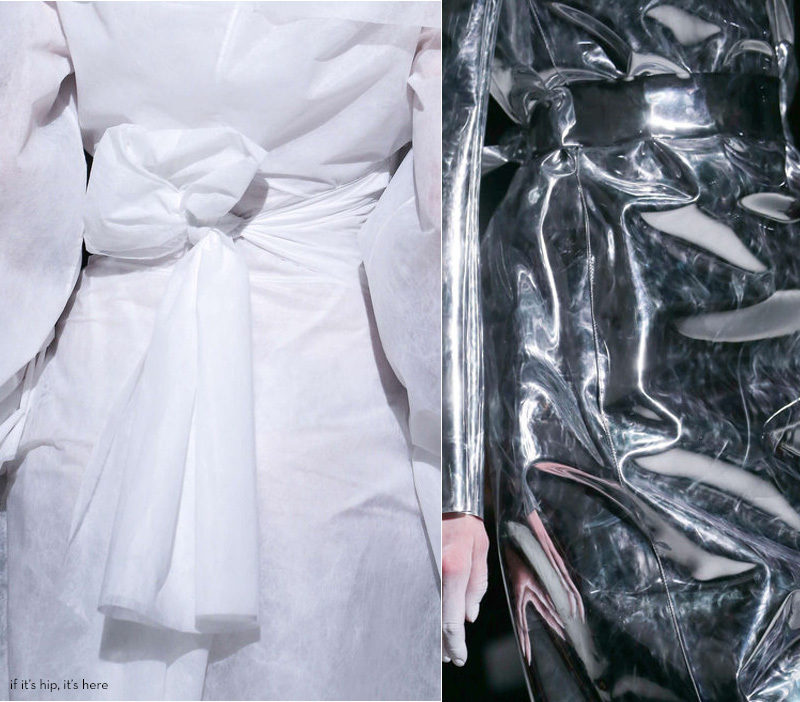 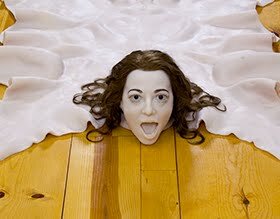 Leathers, furs, metallics, plastics, silks, organzas and more are combined to create outfits that are simultaneously weird and wonderful. 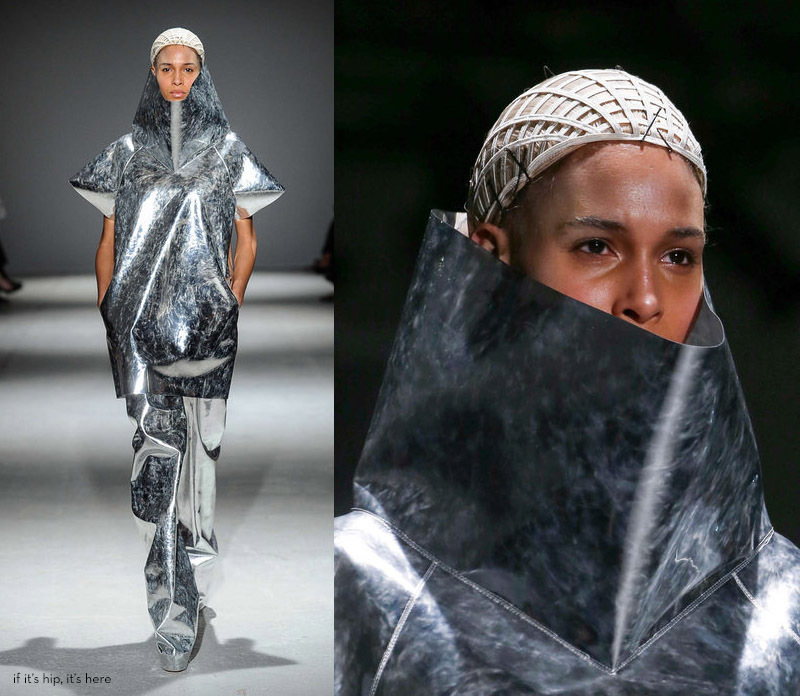 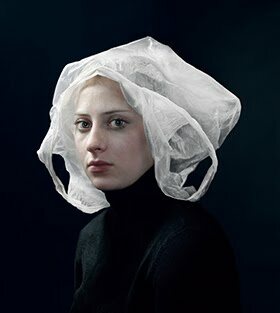 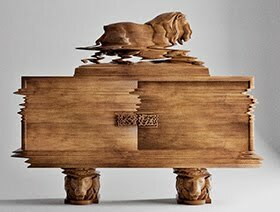 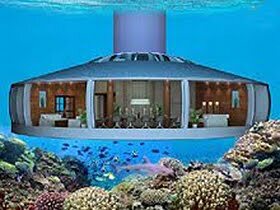 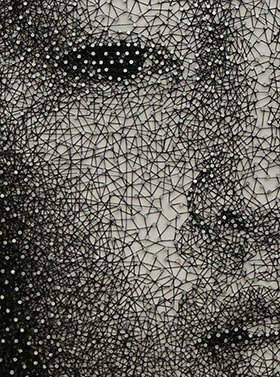 Pugh said that he is not necessarily making a particular statement with this collection hut instead was being "intuitive" and seeing where that got him. 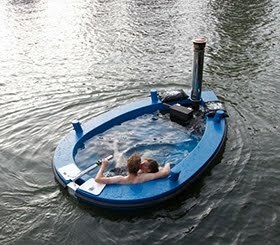 Well, here's where it got him. 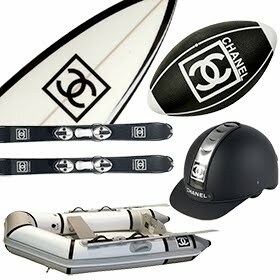 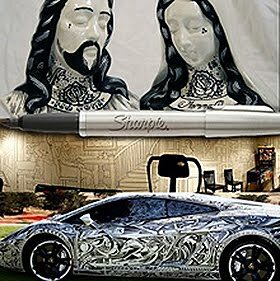 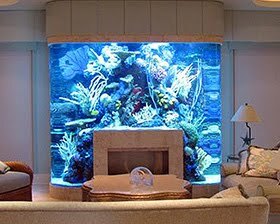 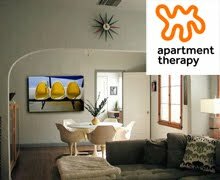 And I like it.